Rear Admiral Leendert Hering Sr. (U.S. Navy, retired) was the keynote speaker for the 5th Annual Central Coast Sustainability Summit at UCSB. 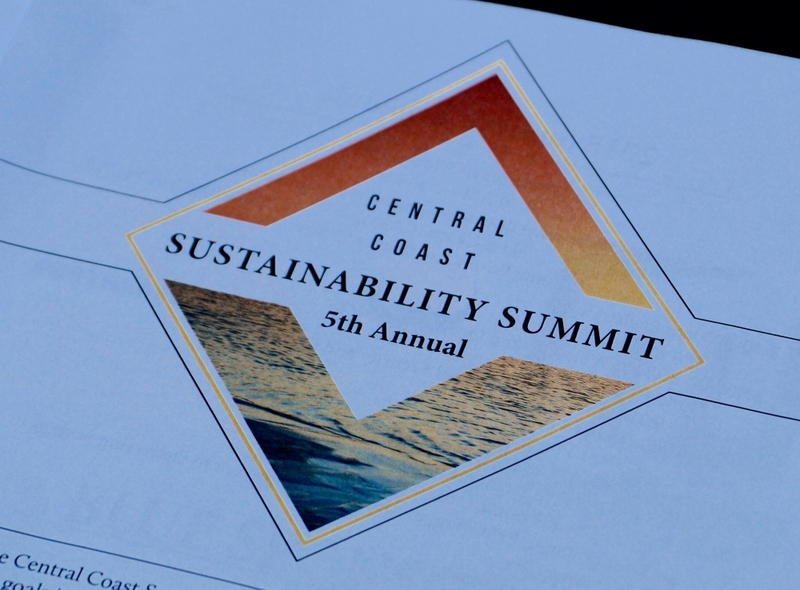 Founded in 2011, the annual Central Coast Sustainability Summit is a partnership of UCSB, the Community Environmental Council, the cities of Goleta, Carpinteria and Santa Barbara, and the County of Santa Barbara. 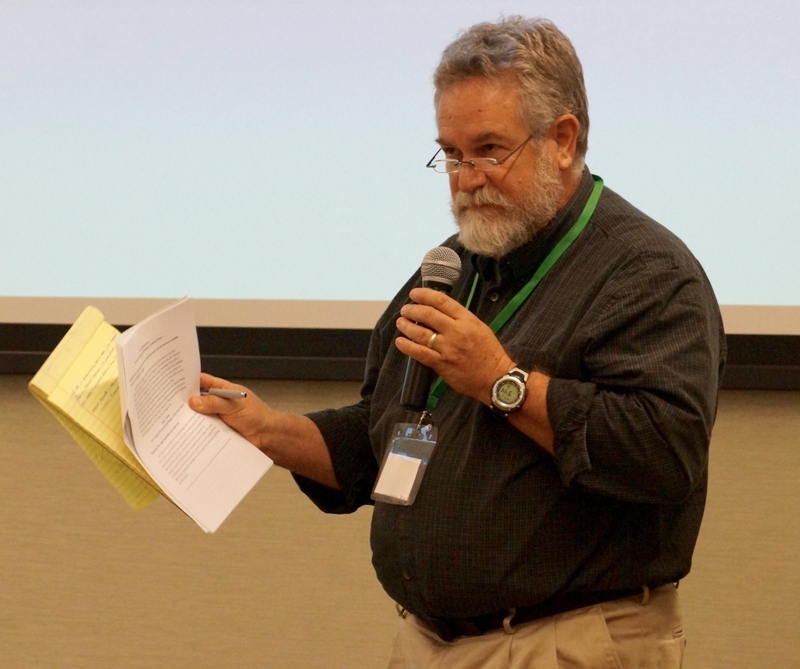 Water policy expert Robert Wilkinson, an adjunct professor with the Bren School of Environmental Science & Management, moderated a discussion about sustainable water management during the 5th Annual Central Coast Sustainability Summit. They’re smaller, cheaper and more efficient. They lend themselves well to the diversification of energy sources as well the easy integration of renewables. They’re known as microgrids, and they are increasingly being seen as the way forward to a more sustainable — and less fuel-dependent — planet. A compelling case for microgrids was among the array of impassioned presentations delivered at UC Santa Barbara during the 5th Annual Central Coast Sustainability Summit. Energy and water — where to source them, and how to use less of them — were the themes of the day, which featured panel discussions and breakout sessions on topics including collaborative procurement, successful collaboration, energy storage, renewable energy, recycled water and potable water reuse. 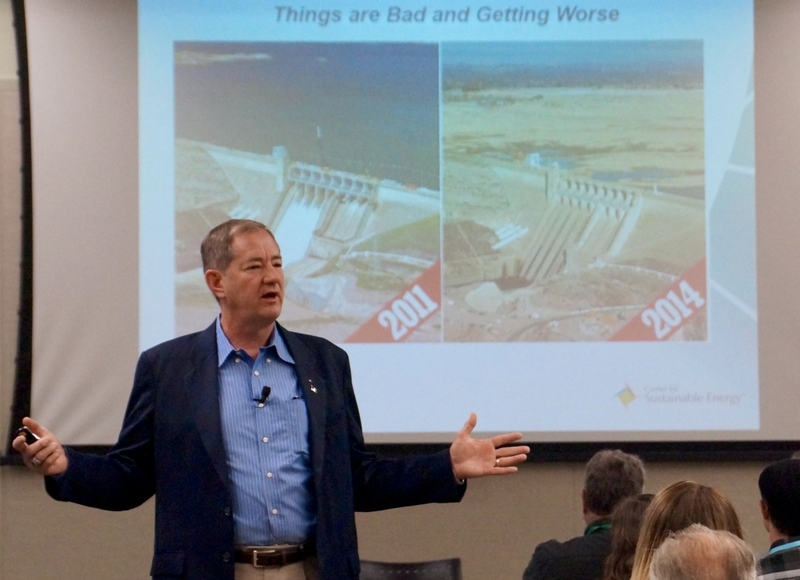 Joshua Haggmark, water resources manager for the City of Santa Barbara, addressed the need for diversification in water supplies as climate change forces a “paradigm shift” in how water is provided and delivered. “Diversity of water supplies add resilience to a water supply portfolio by reducing dependency on any one source,” he said. Reducing dependency on fuel was the rallying cry of keynote speaker Rear Admiral Leendert Hering Sr. (U.S. Navy, retired), a prominent military and civilian sustainability leader who is now executive director of the San Diego-based Center for Sustainable Energy. His address about national security and climate change kicked off the event. “We need to change,” Hering said. “We need to understand that the finite source that identifies us is what it is that we need to battle. It’s fuel. We need to divorce ourselves from this global commodity. Diversification became a rallying cry across the summit’s many sessions, as several speakers offered impassioned pleas for alternative sources of energy — from solar to wind to even converted food waste — and water, as well as alternative modes of transportation, to meet the challenges posed by global climate change. The conference itself was a means of outreach. Founded in 2011, the Central Coast Sustainability Summit assembles regional stakeholders in sustainability to swap information and ideas, with an eye toward providing inspiration and creating a shared vision for such efforts across California’s central coast. The gathering brings together representatives from local and regional government agencies, chambers of commerce, nonprofit organizations, campuses, utility companies and private industry to meet, mix and mingle in a daylong assessment of sustainability issues and wide-ranging discussions about potential solutions. Also presenting at the 2015 event were locally based legislators Das Williams and Lois Capps. State Assemblymember Williams gave a brief overview of California’s new climate change law, SB350, which requires that 50 percent of the state’s energy be taken from renewable sources by the year 2030. And Capps, a U.S. Congressmember in her final term, moderated a panel discussion about building a clean energy economy. Since it was first convened, the summit has been the launching point for new county and regional initiatives, including the Multi-jurisdictional Renewable Energy Task Force and the cross-agency Volunteer Management Program. The sustainability summit is planned each year by a partnership of UCSB, the Community Environmental Council, the cities of Goleta, Santa Barbara and Carpinteria, and the County of Santa Barbara.